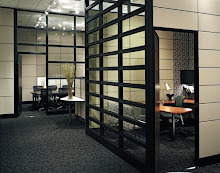 Whether you are building, renovating or expanding your business, planning the layout of your space is a big deal. Getting the office layout to work for your team while keeping the work flow within the office efficient is a big investment of time and money that will pay off in the long run if done strategically. 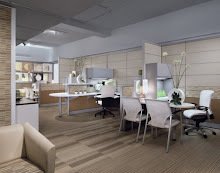 After meeting with your architect, the next call is to visit with your office furniture consultant at the dealer of your choice, and also a designer if you plan to use one. 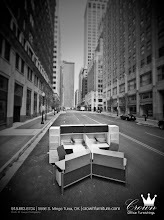 Make an appointment to visit with a furniture consultant who understands your needs and gets a feel for your business. If you feel they don’t understand what you are after or the connection is not there, ask to work with someone else. It is important to have the right help and suggestions all the way through the process and get the end result you want! Someone who has been in the industry for years will make invaluable suggestions that can save you time and money. 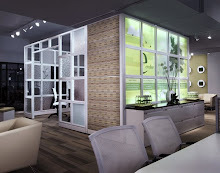 Have them visit your space and see what your plans are for the various rooms. They can then further suggest office furniture placement, room usage and how to be most proficient in what you are purchasing and how it will be configured. If you plan to add on later to some larger rooms, you can tell them at that time so that they quote accordingly with plans to expand later. Sometimes there are significant savings/group discounts when ordering all of the furniture at once as opposed to waiting until later especially if you are sure you will be adding on to the same types of workstations in that area. This is especially true with cubicles. As they look over your rooms, discuss with them their suggested location for electrical outlets, phone/computer lines, and ask their help and recommendations with desk placement, so that as furniture if being quoted, these things are taken into consideration. Most of the time they will want a file emailed to them so that they can drop furniture into the floor plan already drawn out by the architect. You can connect them with your architect for this information so that they can coordinate getting the right format, etc. This will speed up the process of getting layout and quotations back. It will likely also save you money if your architect can provide that information to the dealer so that the rooms don’t have to be re-drawn which will end up being another expense for you unless it is complimentary which is not typical. These are just a few things to keep in mind as you proceed with your space planning. Use professionals who are easy to deal with and solution oriented so that the process is less stressful and the end result is a perfect fit… just like your office furniture will be with the right help! That's true that good office furniture consultants can help determine the optimal power outlet placement. They can also recommend ways to save on cabling by making the routing distance as short as possible. Running cable through a central spine to multiple workstations on each side is one option. A radial distribution into a honeycomb configuration of workspaces also works well if you choose 120 degree angles for cubicles.